The closer we get to the wedding, the more obsessed I am with browsing Pinterest for home ideas! As I mentioned in this post, Stephen will be moving in with me after we get married, and there are quite a few things I would like to do to the house to make it our home. In my room right now, I have this headboard along with a lot of white mix and match furniture that I've had for quite some time, most since high school. And some of it has moved from my parents' house to college to my first two apartments and now to my house, so it's seen quite a few days. 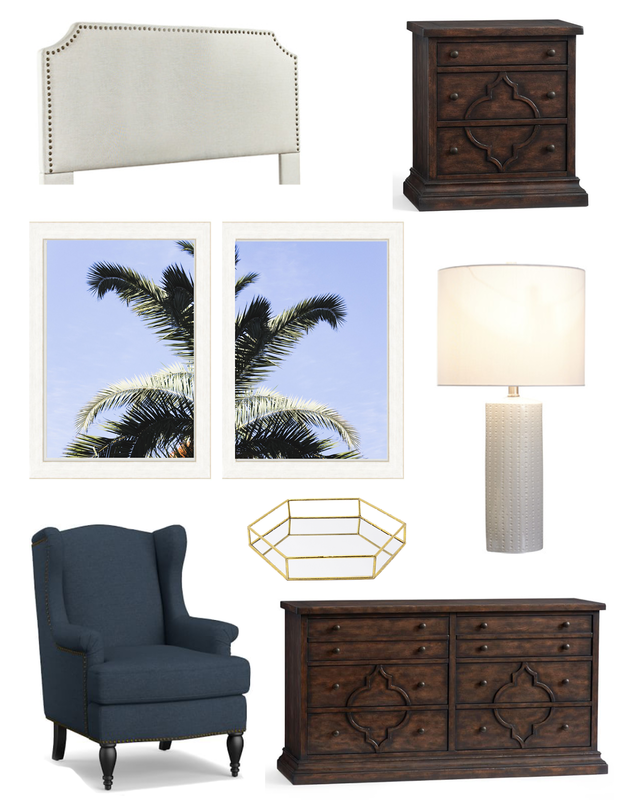 I want to get away from the stark white with something that's a little cozier and move my vanity out of the room into my home office that connects to the master. I love the inspiration of above that mixes light headboard and bedding with dark woods, combined with a pop of color. Similar to the living room, I want to find a happy medium between the all-white I've come to love and the dark hues that Stephen appreciates. 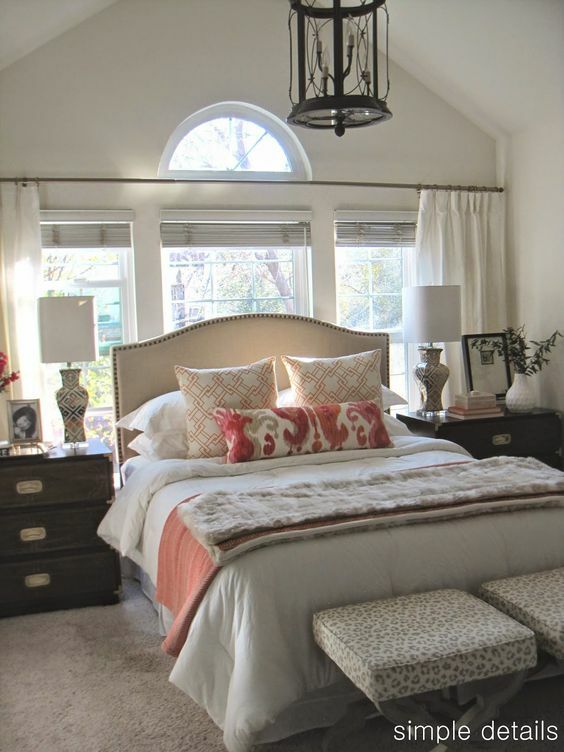 How beautiful are these bedside tables and dresser? I love how intricate they are but still sleek and polished. I think they would work well with the pieces I already have while making the space feel like it's something completely new. My room has a variety of mix and match artwork in it now that I've purchased over time, but I want to create a cohesive look in this room. I would absolutely love to do this set by Gray Malin, but that may have to remain on the wanted list for a little while. I do want to do a two-set or three-set art piece, and I've thought about snapping photos while on our honeymoon to either frame in a set of three or do a set of three canvases.